Glóð frá Árbæ. Rider Erlingur Erlingsson. Glóð frá Árbæ is a 1. price mare with superb talents.. Glóð is a pedigree bomb with stars on her mother side as well as the father side. 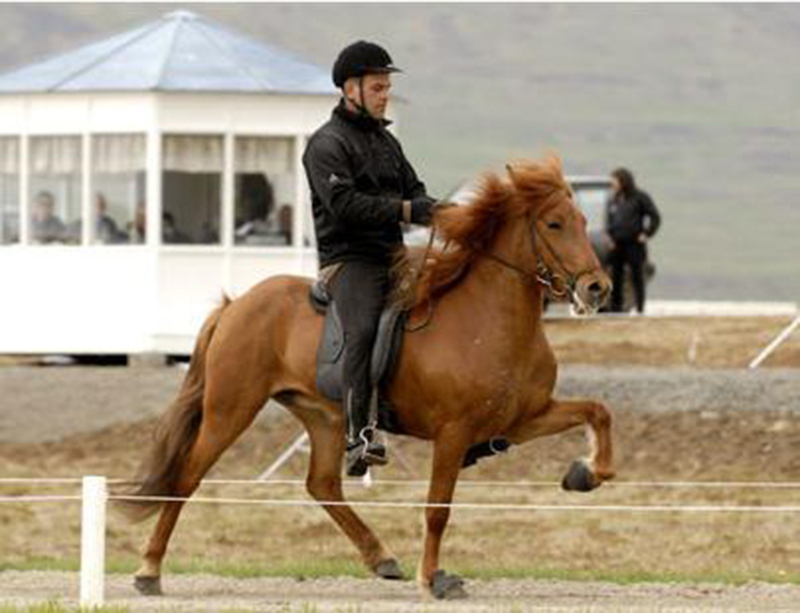 Her father is Sær frá Bakkakoti who got honorary price for stallions at the Landsmot 2008 at Hella. Her mother is a 1. price mare, a daughter of Baldur frá Bakka and Garún frá Stóra-Hofi, daughter of the famous Nótt frá Kröggólfsstöðum. 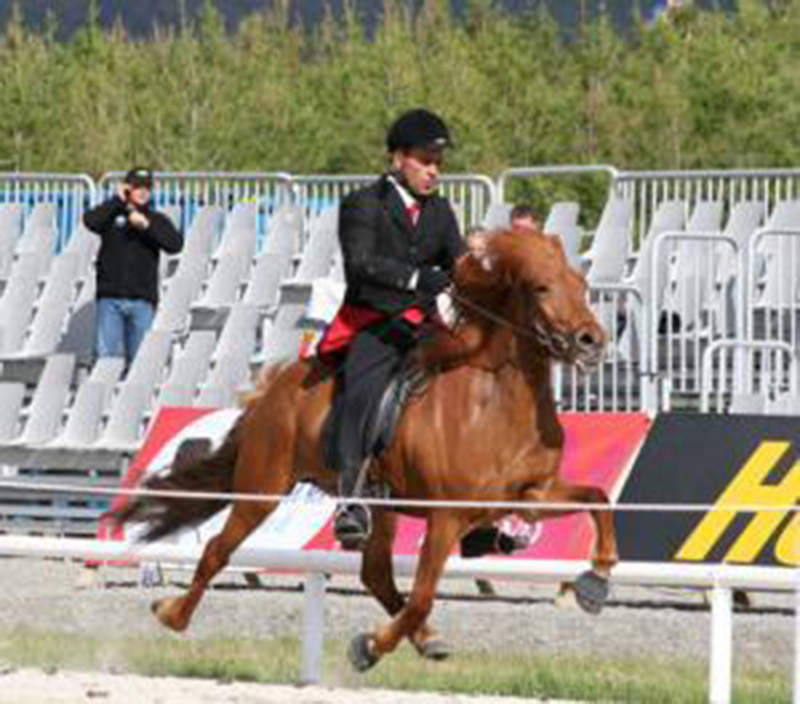 Glóð got 1. price at Landsmot 2006 as a 4 year old mare. Glóð frá Árbæ. Knapi Erlingur Erlingsson. Glóð frá Árbæ er undan heiðursverðlaunahestinum Sæ frá Bakkakoti. Móðurættin er göfug. Móðir Glóðar er Glás frá Votmúla sem var undan Baldri frá Bakka og Garún frá Stóra-Hofi sem var undan hinni frægu Nótt frá Kröggólfsstöðum, ættmóður Stóra-Hofs stofnsins.